A key to become successful team leader is to become a servant leader. Learn how you can’t send a Duck to Eagle school in Marc Anderson’s book. 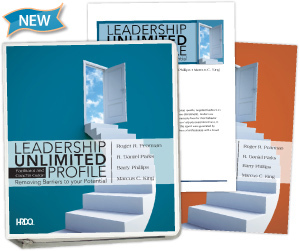 As an entrepreneur for the past 30 years, Marc Anderson, Simple Truths founder, has been very fortunate to meet a lot of people who are a successful and servant leaders. . Ken Blanchard is one of those people. His books have sold over 20 million copies. Ken is also a terrific speaker, and he has built a large training company with the focus on servant leadership and customer service. But it is Ken Blanchard, the person that Marc admires most. In Marc Anderson’s book, You Can't Send a Duck to Eagle School, he shares some of the many "lessons learned" as an entrepreneur. Here's a chapter about Ken that he hopes you enjoy. Walk Your Talk An excerpt from: You Can't Send a Duck to Eagle School A few years ago I was invited to spend some time with Ken Blanchard at his lake home in upstate New York. Over the last 20 years Ken has probably sold more books than any other business author. His classic, The One Minute Manager, has sold over 10 million copies. He has also built a large training company with the focus on servant leadership and customer service. I've had the good fortune to meet many successful businessmen, authors, and speakers during my career, but I've never met anyone that "walked the talk" more than Ken. He gets it. The first night of my visit to Ken's lake home, we were sitting on the deck with Humberto, his son-in-law, talking about some ways we could work together. It was about 10 p.m., when all of a sudden Ken jumped up and asked to be excused. He returned about 10:20 and Humberto asked "What happened?" Ken said, "I can't believe it; I forgot to call Dorothy on her birthday." Later that night, after Ken had gone to bed, Humberto told me that Dorothy is an 85 year old part time employee for the company. It then dawned on me that at 10 p.m. Ken left to spend almost 20 minutes talking to Dorothy and inquiring about how she had spent her special day. However, after spending more time with Ken over the next year, I came to realize that this was no fluke. This is who he is. The last time while visiting him at his San Diego office, I learned that one of his employees who worked in the warehouse had recently passed away. On that day, Ken had invited the employee's wife to come to his office. When she arrived, he spent an hour walking around with her carrying a tape recorder to record all of the wonderful memories that other employees had of her husband. When the wife left she said it was a day she'd never forget. You see, what many leaders would have considered a waste of time, Ken saw it as an opportunity to serve and to thank his people. He doesn't do it because it's expected of him, he does it because he truly cares. It comes from his heart, and his people love him for being the servant leader that he is. .
"Walking our talk" is always one of our greatest challenges in life especially as a leader and role model for our families and co-workers. 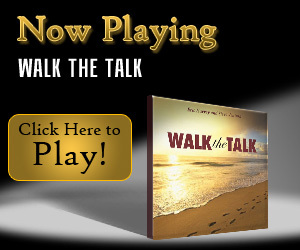 Here's a beautiful 3 minute movie, Walk The Talk, that reminds us that having values is important, but it's much more important to live them!